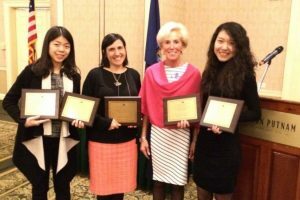 The Chinese-language edition of Epoch Times in New York City won the top design award for its print publication on June 11 (2015), at an event held by the City University of New York Graduate School of Journalism. The Ippies Awards, the only awards given to community and ethnic media outlets in the New York metropolitan area, are now presented annually by the Center for Community and Ethnic Media. In the years past, the awards were handed out by the Independent Press Association of New York. This year there were more than 200 entries, the most so far recorded. 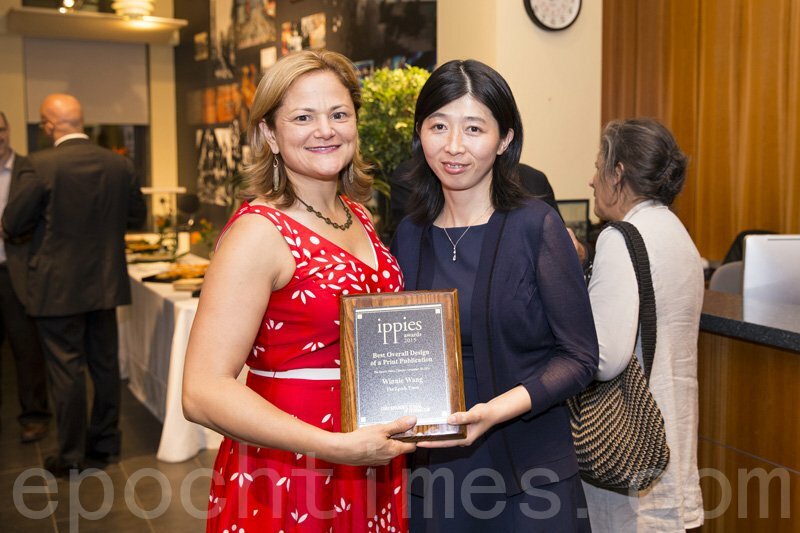 It was also the first year that the Chinese-language Epoch Times has been honored with an Ippies award. “The cover is bold and eye catching with a clear graphic. 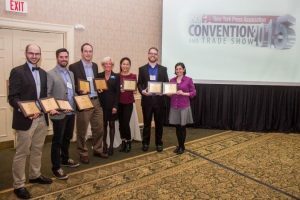 The publication has excellent use of white space and subtle but effective use of color,” said Dr. Andrew Mendelson, the chief judge of the category “Best Overall Design of a Print Publication.” Mendelson is chair of the Department of Journalism at Temple University and associate dean at CUNY. “The whole issue floats beautifully with informative photos and infographics. Advertising is clearly delineated from editorial,” he added. The award-winning entry was the front page of the Chinese-language Epoch Times on Nov. 18, 2014; the piece explores plans to replace New York’s aging payphone booths with a system called LinkNYC, touchscreen kiosks that provide free Wi-Fi.